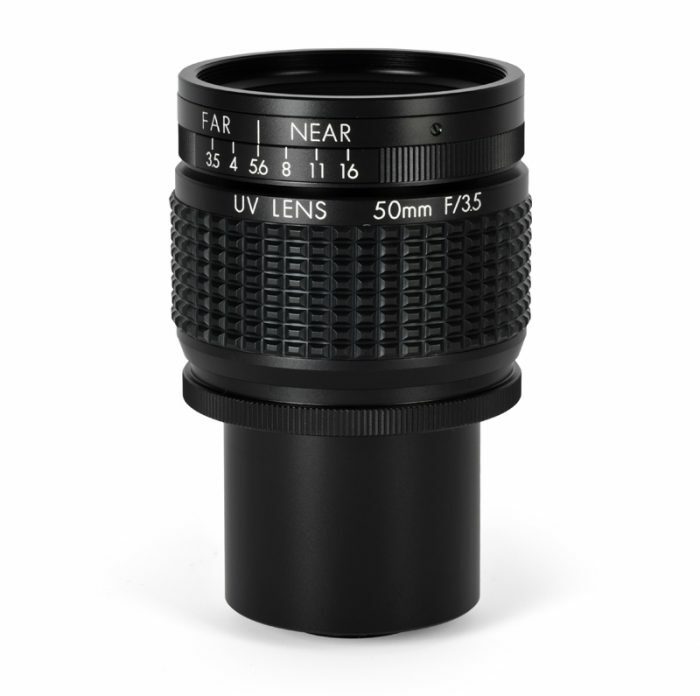 The UV5035B quartz lens is designed for ultraviolet sensitive cameras with a 43mm diag. image sensor or smaller. The C-Mount adapter is removable to accommodate T-Mount style cameras. The lens has both iris and focus controls with locking screws and a minimum working distance of 119.6mm at 300nm. 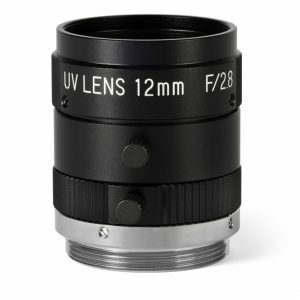 Although designed primarily for a 266nm wavelength, the quartz elements have a spectral transmission reaching to 2000nm making this lens suitable for near infrared applications too.